Lenox Brownstones have that New York City feel. 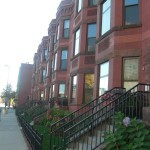 Shared walk up entries access the brownstones located just south of the rejuvenated east village in downtown. HQ apartments and Finnegan's pub are new addition across the street. Lenox Brownstones feature 14-foot ceilings, the interior has been completely modernized yet have urban exposed brick and larger-than-normal living space. All units offer stunning views of downtown Minneapolis. Beautiful gardens are association managed and are a stand out when walking past the building in the spring. Tandem parking stalls are offered and most units only have one parking spot due to limited spaces. The building does not offer a gym, pool, party room ETC. The rear of the building has a shared balcony and residents can walk past each others private space. Resident also have gas powered grills on their portion of this space. All layouts mirror each other and offer two bedroom and two bathrooms. All units have larger than normal laundry rooms with full size machines. Some unit owners have installed gas powered fireplaces. 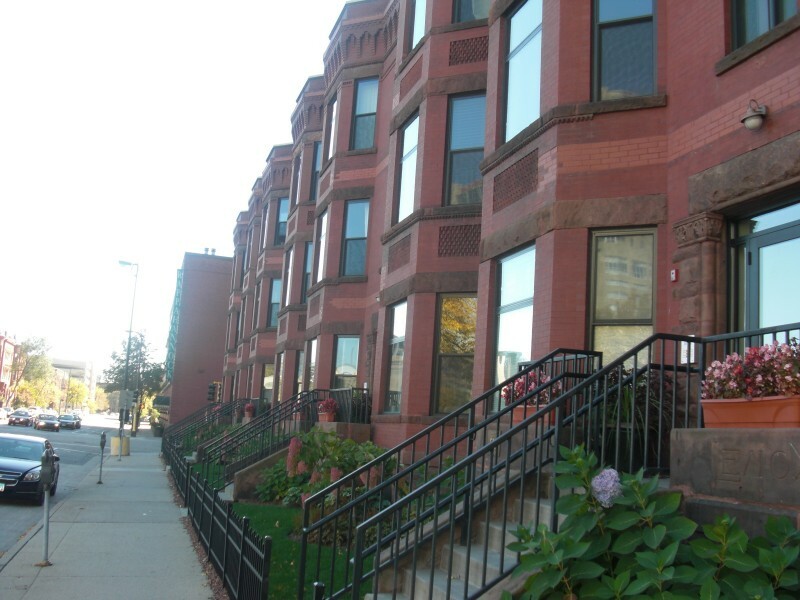 If you're interested in learning more about Lenox Brownstones for Sale. Contact MPLS LIST today. Renter Pays: Heat & Cooling, Cable, internet and phone. Exposed Brick and ductwork, hardwood floors, shared balconies, heated assigned parking underground.